Hide your high heels: David Fincher’s acclaimed serial killer-centric crime drama Mindhunter will return to Netflix for a second season, the streamer announced today. The series stars Jonathan Groff (Looking), Holt McCallany (Sully), Anna Torv (Fringe), Hannah Gross (Unless) and breakout star Cameron Britton, whose chilling portrayal of real-life serial killer Ed Kemper has been much buzzed about. Groff and McCallany (pictured above) play FBI agents who travel the 1970s U.S. to pick the brains of prolific killers like Kemper. Mindhunter was created by Joe Penhall (The Road), with Fincher, Joshua Donen (Gone Girl), Charlize Theron (Girlboss) and Cean Chaffin (Gone Girl) serving as executive producers. The show is currently sitting pretty with a 96 percent score on Rotten Tomatoes. Mindhunter’s renewal comes on the same day that Britton was cast in Dragon Tattoo sequel The Girl in the Spider’s Web. There’s no word yet on when season two will start production. 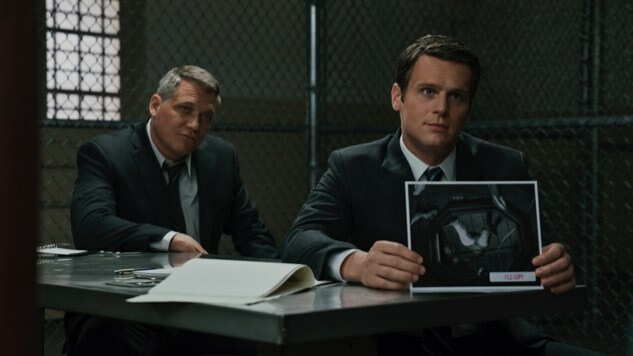 Mindhunter’s first season is now streaming on Netflix. Find our take on how it fits into Fincher’s filmography here, and watch a quick season two teaser below.